← How Do Six Best Selling Authors Celebrate Women? It is with great delight that Miss Darcy announces the winners of the Rafflecopter contest to Celebrate Women! The big winner of the iPad mini was Linda Hendrickson. She has been contacted and her prize has been sent. The winner of the giveaway of the $25 Amazon gift card on my blog was Andrea Minier. The winners of the free books are being contacted this week. I hope you were a winner but if not I hope you had a good time meeting new authors and reading their stories to Celebrate Women. It was such fun getting so many comments. I’m so glad the saga of Jem resonated with so many of you. Grandmothers definitely do rock! Writers love getting feedback from readers so thank you all who participated. 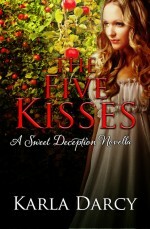 Check out Her Books Facebook page since there is always news and opportunities for our readers. Miss Darcy just got the cover of her new book The Rebellious Heiress which will be coming out at the end of the month. I believe this week would be a lovely time to show you the cover and introduce you to another member of Sweet’s Racing Club.